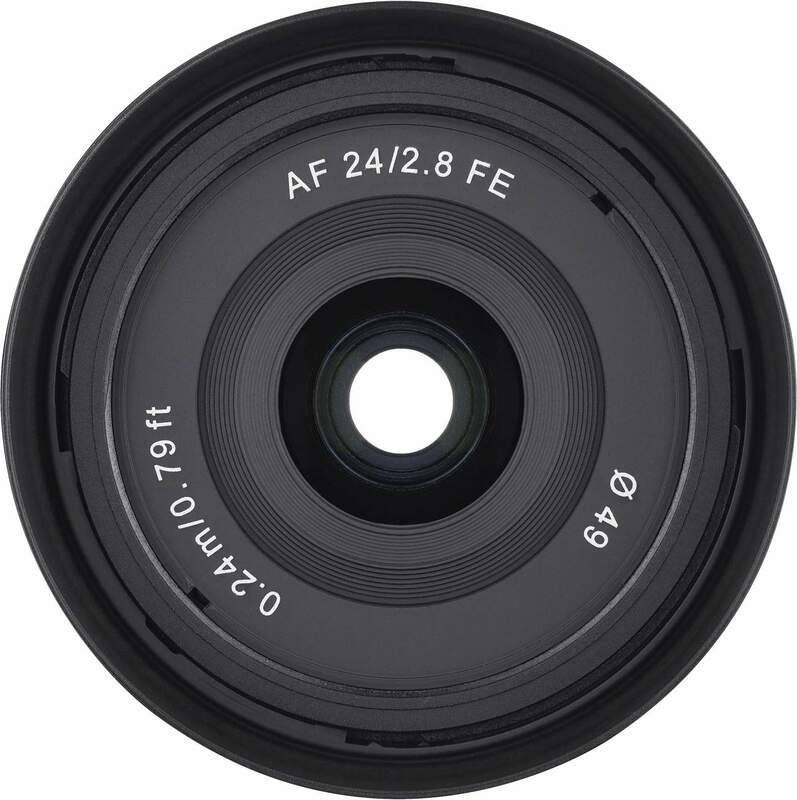 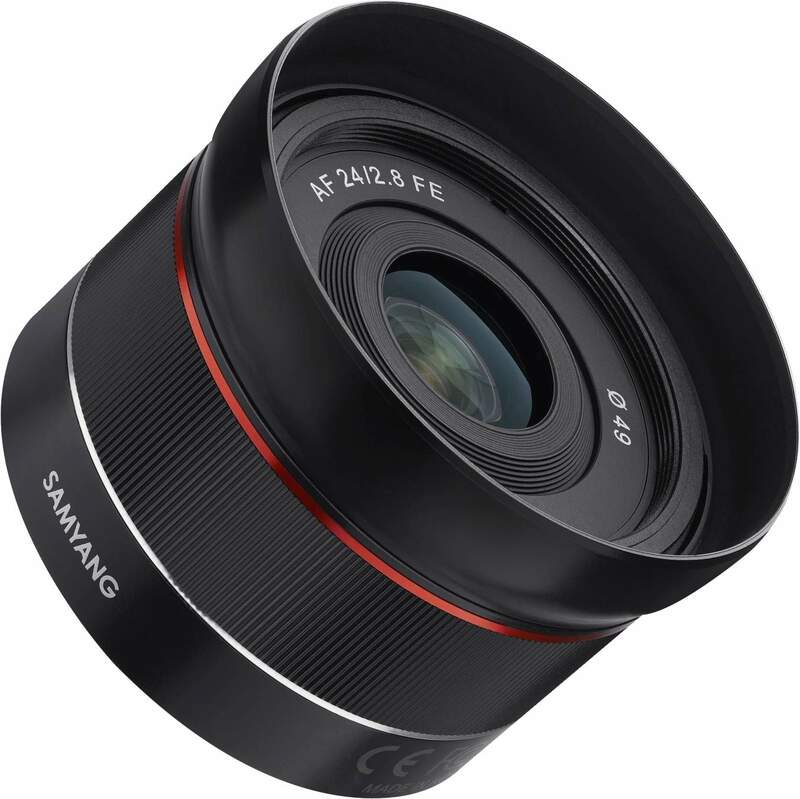 This lens features a 82.1° Wide Angle, ultra multi-coating & a minimum focus distance of 0.24m. 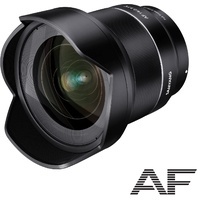 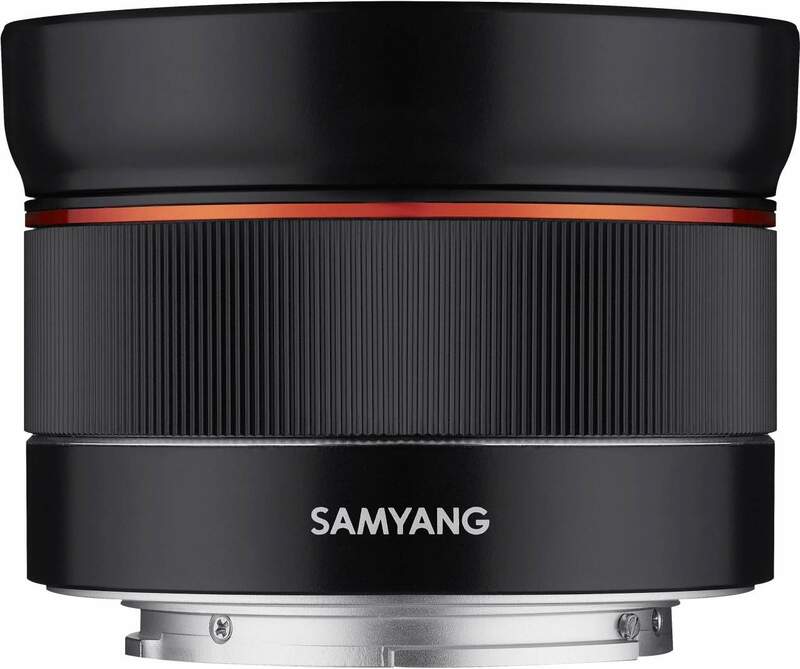 For the Sony E.
As the Samyang AF 35mm F2.8 FE has strengthened it's position in the market, Samyang's new full-frame Sony E-mount lens, the AF 24mm F2.8 FE, also allows you to take various types of photographs with its wide angle of view and short focal length of the lens. 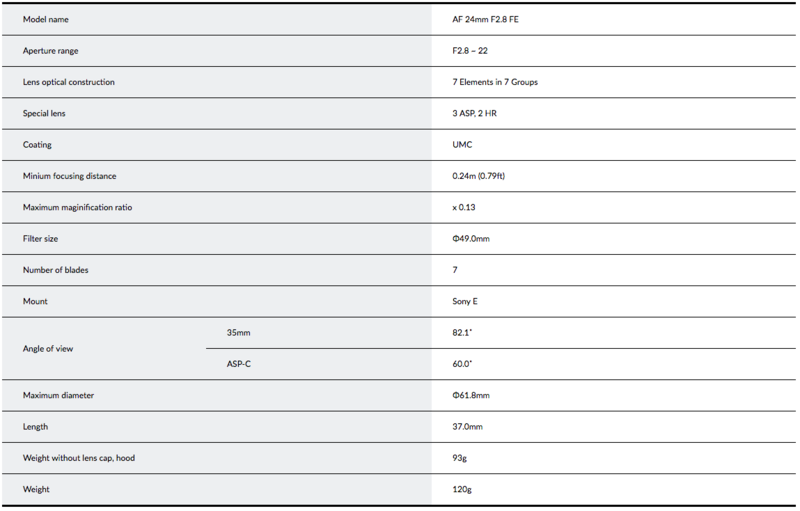 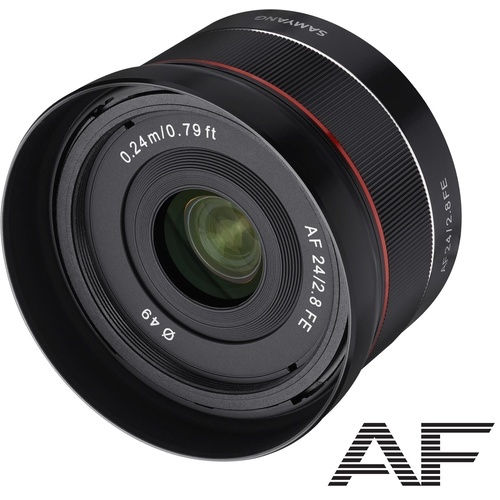 The improved autofocus system also provides more quiet and accurate autofocus performance. 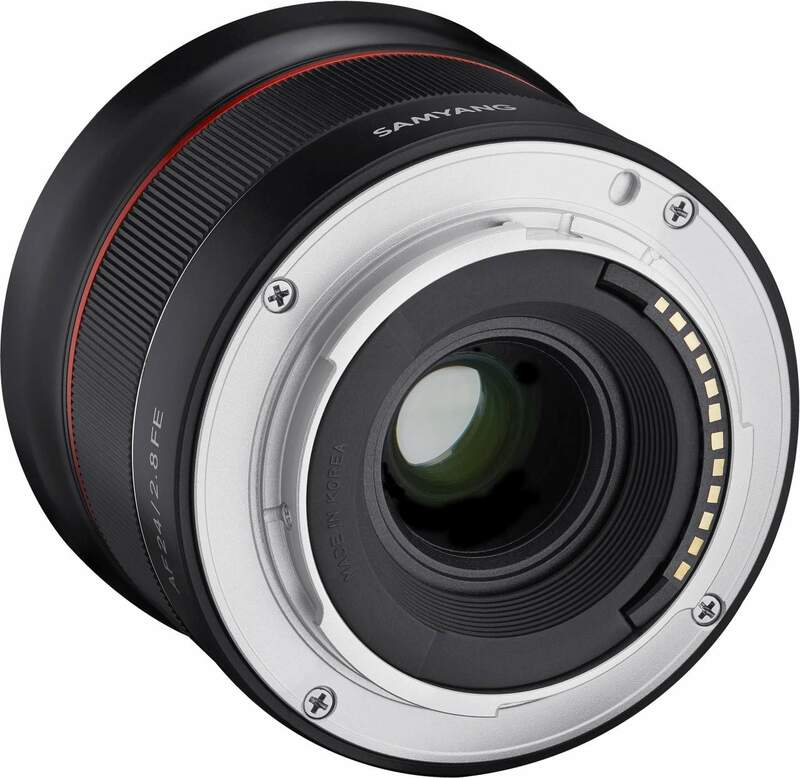 The compact and light-weight design offers the portability and comfort needed for a long day. 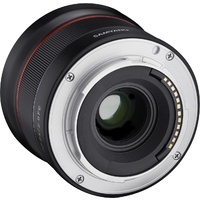 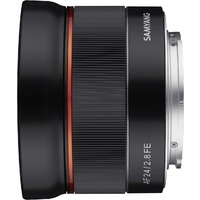 This lens would be the best choice for daily photographers who want to capture everyday moments with a high resolution. 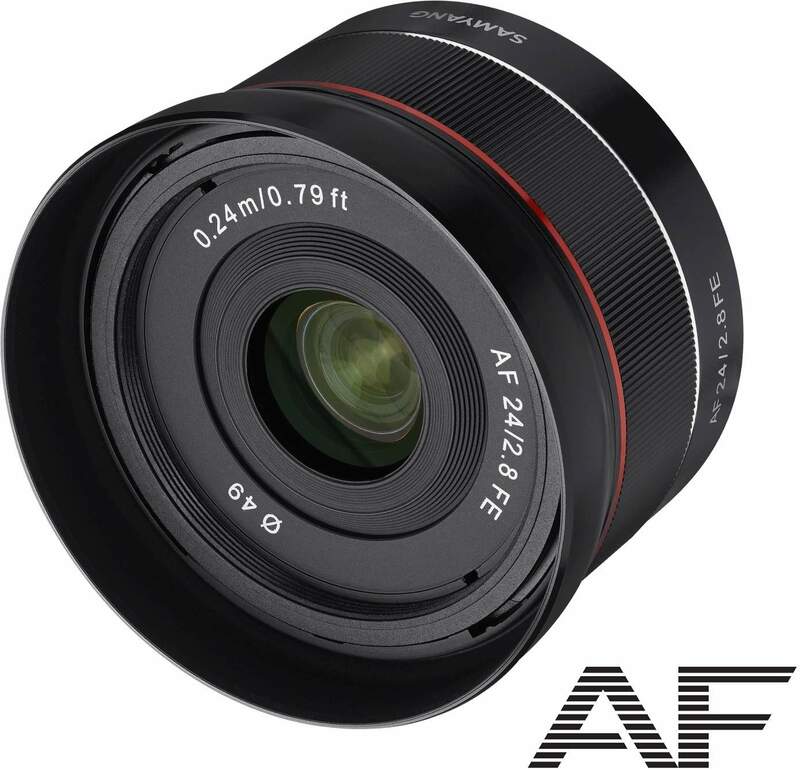 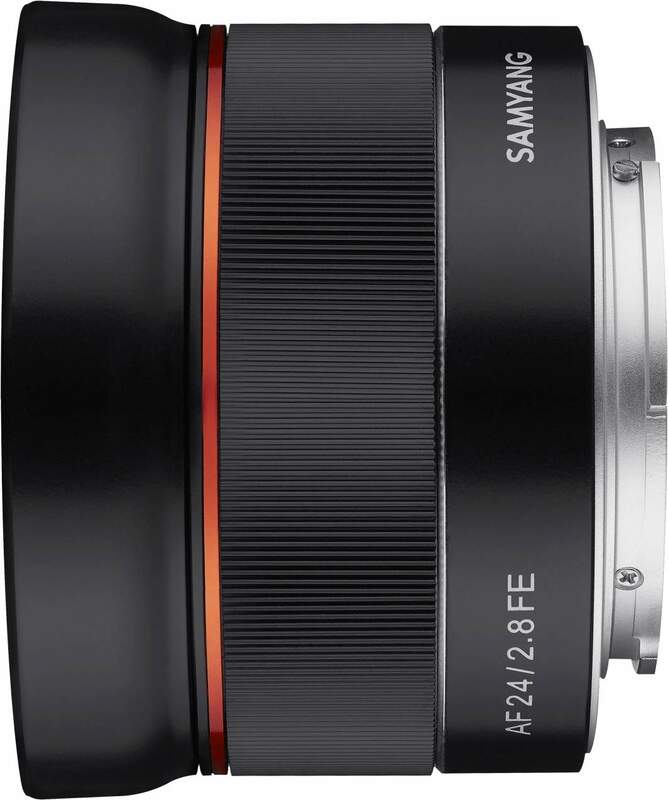 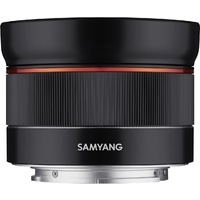 The Samyang AF 24mm F2.8 FE features both a fast and accurate Auto Focus and with a minimum focusing distance of 0.24m, it’s ideal for outdoor events and also close-up photos such as travel, sports events, landscape, selfie, pet, portrait, and food etc.